Tea Party-backed State Sen. Chris McDaniel is just not giving up. 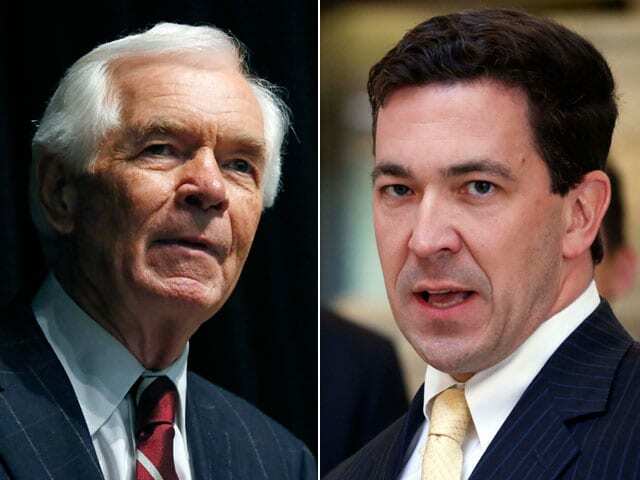 McDaniel, who lost the Republican primary against incumbent U.S. Sen. Thad Cochran in a runoff election in June, sued in state court on Thursday, hoping to force a judge to either declare him the winner of the election or order a new runoff. Cochran defeated McDaniel by 7,667 votes, but McDaniel claims that GOP officials violated registered Republicans’ rights by allowing Democratic voters to participate in the election. “In combination with Sen. Cochran’s intentional solicitation of Democrat voters to violate state law, the permitted unlawful votes produced an outcome that does not express the will of qualified Republican party electors,” the lawsuit states. This entry was posted on August 15th 2014 at 7:04am/07:04 and is filed under Live News Column 2, Politics. You can follow any responses to this entry through the RSS 2.0 feed.